На странице представлен выбранный Вами товар Sony - DEAL:NEW Sony Alpha a7R III Mirrorless Digital Camera. a7R iii Body Kit A7Riii 3. 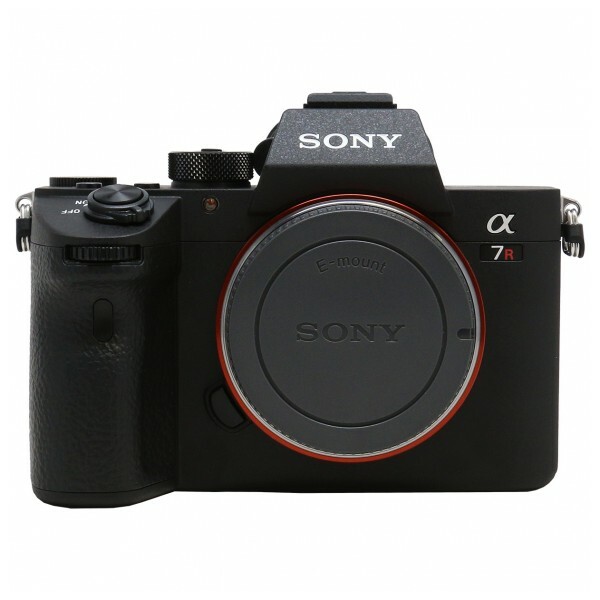 Proving that speed, resolution, and video capabilities can all coexist, the Alpha a7R III Mirrorless Digital Camera from Sony is a versatile, high-performance camera characterized by not only its resolution, but by its multimedia versatility. Boasting a full-frame 42.4MP Exmor R BSI CMOS sensor and updated BIONZ X image processor, the a7R III affords an impressive 10 fps continuous shooting rate along with improved autofocus performance for faster, more reliable subject tracking along with wide frame coverage. Video recording capabilities have also been extended for enhanced quality when recording UHD 4K video with the full width of the full-frame sensor, or when using a Super35 area and 5K oversampling to minimize moiré and aliasing. Additionally, benefitting both stills and video operation, the a7R III retains the 5-axis SteadyShot INSIDE sensor-shift image stabilization, which is now effective to minimize the appearance of camera shake by up to 5.5 stops. Please read this disclaimer before deciding to buy the item: We are not what manufacturers refer to as authorized dealer or authorized reseller, or similar names. Nor do we claim to be one. We carry both USA and imported products, and we give clear indication of the item we sell under eBay's item specifics - If you navigate to the top of the ebay listing page, towards the tabs stating description and shipping/payment you will find a title named "Item Specifics"; under this title ebay & sellers try to give as detailed information about the product as possible. If you find a statement there stating that the item is directly imported by seller or that it is an "Import Model," it means that the item may have been imported by us and that it may or may not have been originally intended for sale in the U.S. Direct imported Sony Cameras (AKA international version): In any case - all of the original accessories provided in the manufacturer box are original Sony camera accessories. A third-party AC adapter and/or battery charger is added (if needed). Depending on the country of origin, international versions of a product may differ from domestic versions in certain ways including, without limitation, their packaging (which may include important product information), charger, AC adapters, printed manual, and manufacturer warranty. Please note that if you purchase a "body only" offer, it may arrive in an original Kit box from which other parts such as the lens may have been removed. The product may or may not include the original manual, but access to an English product manual is available via the internet. Import items may not be eligible for a manufacturer warranty in the USA. Import models may not be eligible for services from the manufacturer or its affiliates. For example, because UPC or other tracking codes may differ from U.S. versions, you may not be notified of or eligible for any product recalls, upgrades, or rebates, and you may not receive other notifications. Direct Import Sony Cameras may not be eligible for a Sony USA manufacturer warranty. You are covered for any defective item received, and also protected by our 30 days, easy return policy.